Ready for some football? 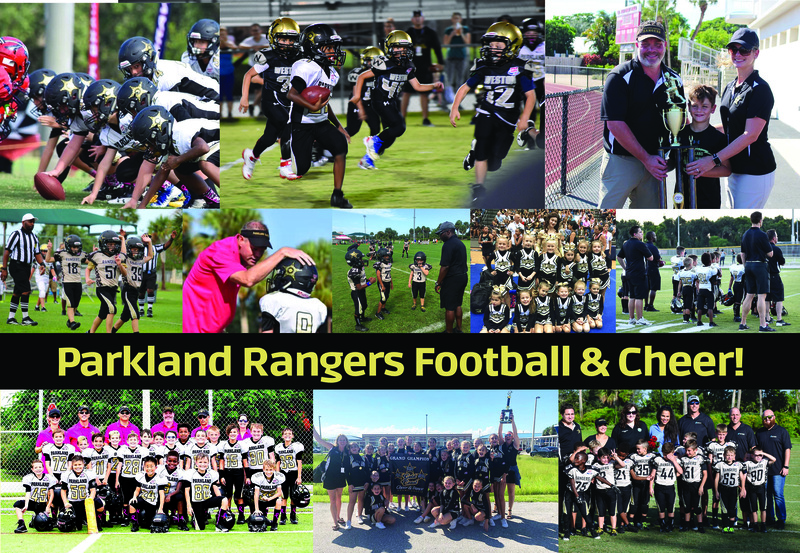 The Parkland Rangers Tackle Football and Cheer Program has already begun its registration for the 2019 season and is expecting even more player participation and support from their families. The league celebrates its 12th year and continues to expand and look for ways to improve the overall experience of its athletes. Registrations will continue until about Aug. 1st and, in-person sign-ups are held periodically with dates and times posted on the program’s website. Last year, the program attracted more than 180 athletes, and the league is now in the midst of registrations for its upcoming season. But, before anyone gets on the field, safety measures are met by those running the program. This includes the coaches learning about the impacts of weather on a child’s health, proper conditioning and techniques to ensure each child’s safety, including concussion awareness and avoidance. To accomplish this, each coaching staff obtains a youth tackle football certification from USA Football, and each team is required to have a CPR-certified professional. Newly-instated Parkland Rangers President Will Billings has a positive outlook on his program’s high priority of player safety and the many facets of it. Now, once the safety aspect of the league has been confirmed, fun is the next order of business. The teams for the upcoming season are organized by division, primarily age, with no weight restrictions, accepting players from ages 5-15. To ensure participation, each teammate is given mandatory playtime so they can all get a chance to play in the game. To piggyback on Will’s positive thoughts about the Parkland Club, games are scheduled to begin in late August and continue through the Fall. Depending on regular season records, a playoff berth may be determined for each respective division. 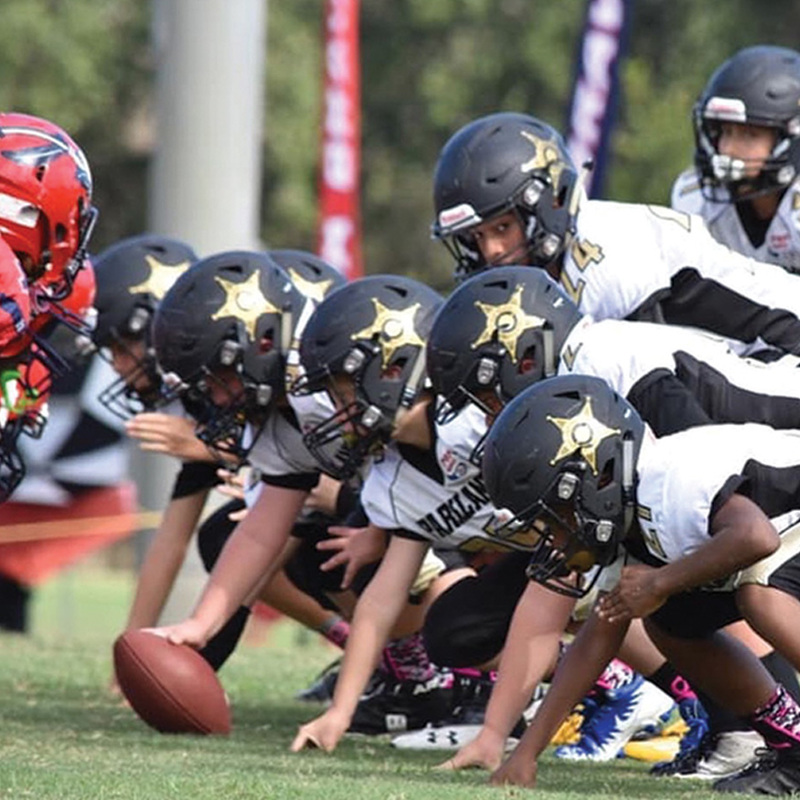 In fact, in 2018, each Parkland Rangers team made it to the playoffs; the Mighty Mite team (ages 8-9) made it to the Gold Coast Super Bowl, and the Rangers are excited about what 2019 may bring, as they play teams from Broward and Palm Beach counties. The Parkland Rangers Cheer program has recently enhanced the cheerleading experience by offering year-round cheer for their teams. The coaches appreciate how important being a cheerleader is and they understand the physical demands as well. The teams learn proper techniques and ultimately perform as one cohesive unit. Each cheerleader has the opportunity to create lasting memories, while building strong bonds with their fellow cheerleaders at all divisions. Of course, the cheerleaders also thrive for competition. In 2018, the Parkland Rangers Junior Varsity Cheer team ranked 4th in the nation. In November, the teams can earn a chance to go to Walt Disney World to participate in a regional competition, where they can earn a spot to compete in nationals at ESPN World in December.